The William Riley's oars laid out in front of the boat itself, those with a keen eye will recognise that there are actually two oars missing. The trust treasurer Dave Charlton and John Cummin's oar's were not finished in time for the gathering?. 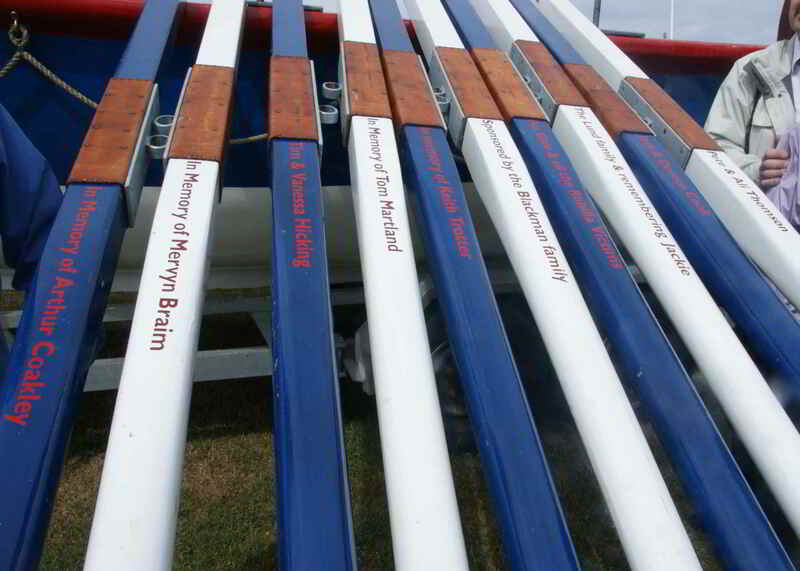 Alan was keen to follow me capturing the oars all laid out, with the sponsors personal dedications clearly visible, it is just a shame that two of the oars were ready in time for when this event was planned!